The official British word for umbrella is "bumbershoot," but most Brits today just call it a brolly. 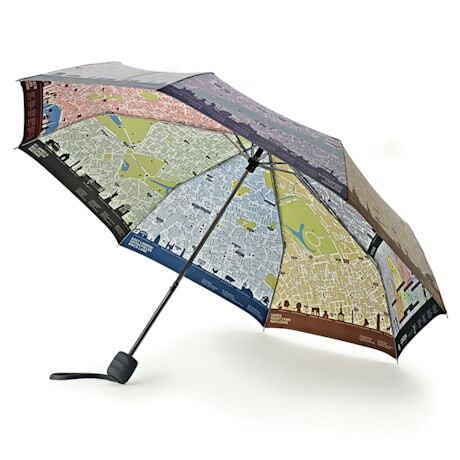 And a brolly doesn't get more British than this one, printed inside with a beautifully illustrated map of London. If you happen to visit the city, it's a jolly good guide to the top sights. 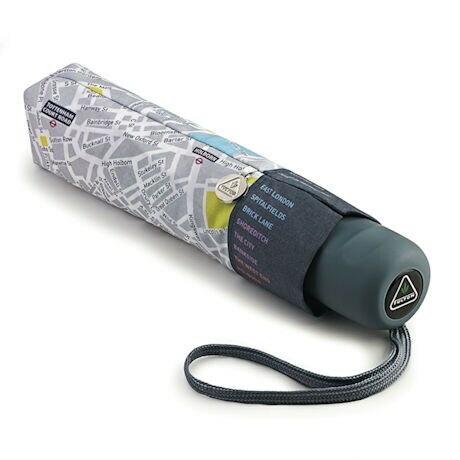 Poly umbrella with wind-resistant frame. 38" span. Closes to a compact 10" long.